You’re going to LOVE this one! 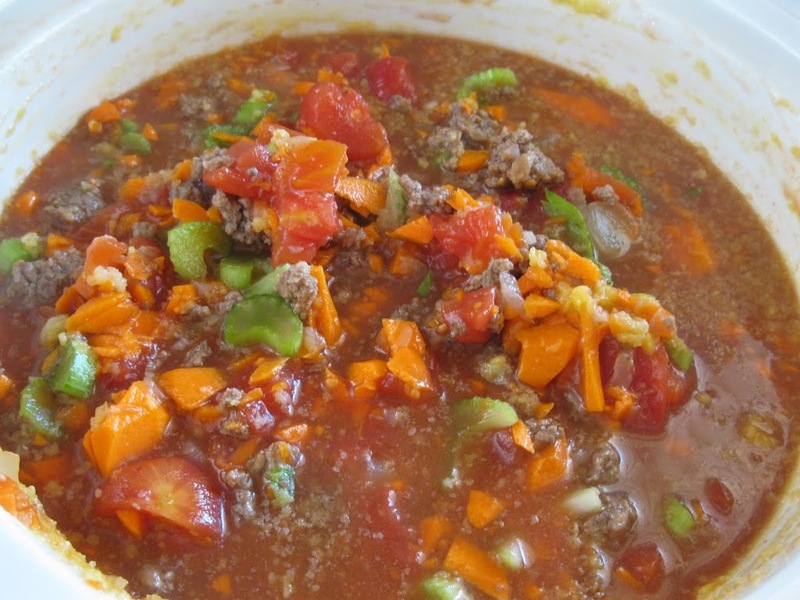 This Hamburger Soup recipe is one of my favorites from The Best of Bridge cookbook series. I have made it a ton of times this summer! You know when this soup is perfect? When you know you have company coming to visit but you’re not sure when they are arriving! 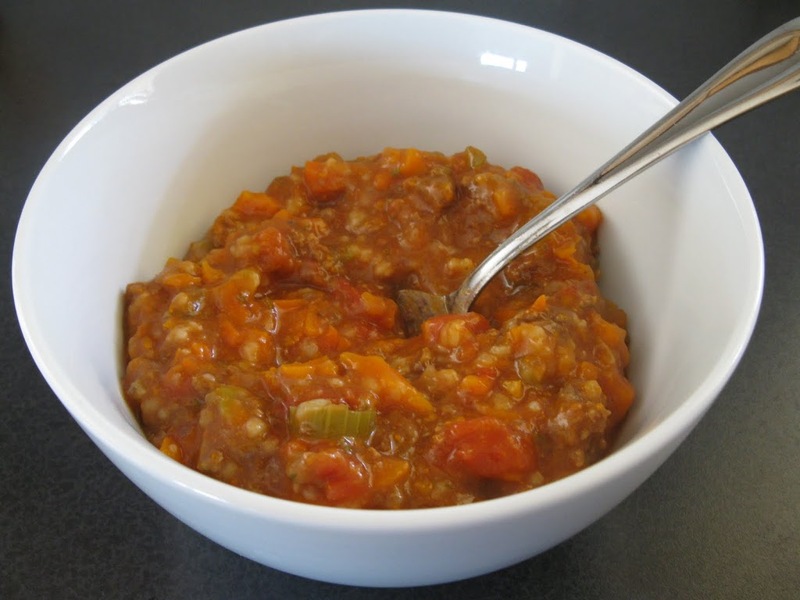 Let it simmer in the crockpot all day… serve with garlic bread for lunch and add a green salad for dinner. YUM! 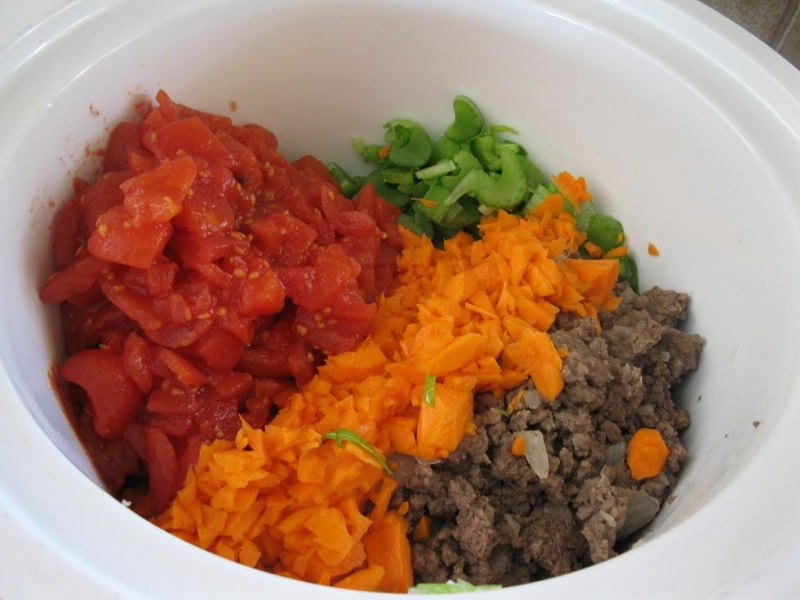 Some of the colourful ingredients include: browned beef, onions, carrots, celery, diced tomatoes, beef broth, canned tomato soup and rice. 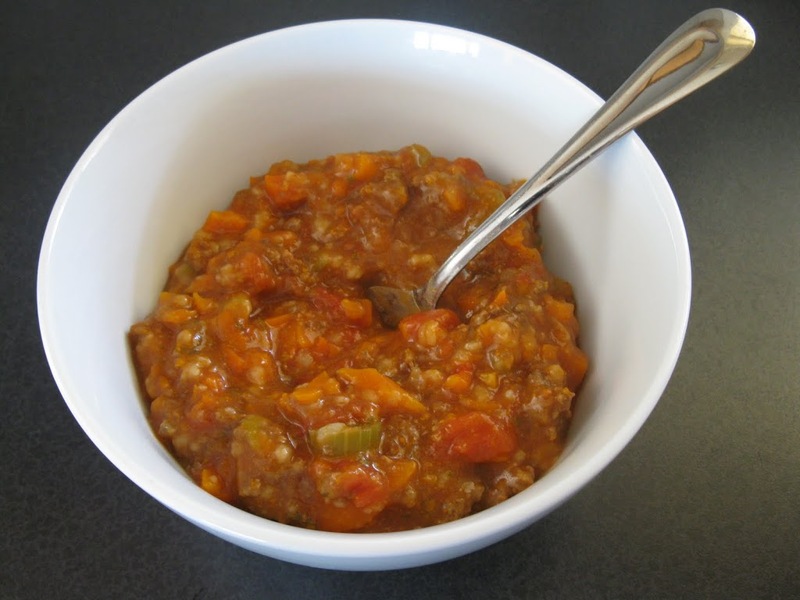 I just chop everything up in the morning and throw it in my crockpot to simmer the day away. The house smells divine! This is also a fall favorite! Hi… I’m your newest follower.